As providers, we can also define most caregivers as loving, caring heroes, who give of themselves unconditionally while in many instances sacrificing their own health and well-being, relationships and even employment. According to research from the National Alliance for Caregiving and AARP, in 2015 there were roughly 34.2 million unpaid caregivers in the U.S. providing care particularly for someone over the age of 50. The average age of a caregiver across the board was 49.2, which falls firmly in the primetime of a career and raising teens or even grandkids. This problem will continue to trend upward, especially as the number of baby boomers surges and eventually grow older, frailer and more dependent. Employers will need to be more sensitive and proactive on this issue. Family Caregiver Alliance offers employers a number of suggestions for removing barriers to equal employment such as adopting caregiver-friendly work policies and workplace flexibility, along with providing eldercare support, resources, and referral services to caregiver employees.³ [Here is the full list from FCA]. As Rosalyn Carter summarized, the potential for caregiving can affect us all, so the likelihood of being a caregiver and an employee simultaneously is a strong possibility. Are you prepared as an employer? 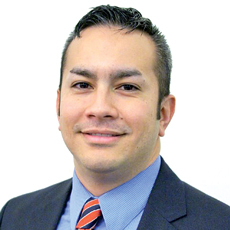 Matthew J. Gallardo, BASW, CCP, ROCC, is the Director of Community Engagement and Coaching at Messiah Lifeways. ¹National Alliance for Caregiving and AARP (2015) Caregiving in the U.S.
²Gallup-Healthways. (2011). Gallup-Healthways Well-Being Survey: Caregiving Costs U.S. Economy $25.2 Billion in Lost Productivity. Based on the average number of work days missed per working caregiver, assuming $200 in lost productivity per day.